It’s that magical time of the month when I open my mailbox and see a glorious pink box sitting there waiting for me to discover the goodies inside. Before I get into what was included in my box this month, I want to answer a few questions I've received about my Birchbox subscription. 1.) How do I sign up for Birchbox? Just click this link here which will take you to the Birchbox website to get your name added to the list. There is a slight waiting period depending on demand, but I got my confirmation e-mail in a few short weeks. 2.) Is it worth paying $10 a month? In a word? ABSOLUTELY! Quite often I receive full size products in my monthly boxes which makes the subscription pay for itself and then some. Plus, if you are a beauty junkie like me and love trying new products, I highly recommend you sign up. I have been introduced to products I might never normally try simply because I didn't know they exist. 3.) What do you do with the samples you don’t use? I try to use everything at least once just to test it out and see if there is a new product I want to add to my beauty routine. If I end up not using a sample, I will either save it for a gift box I am putting together or offer the samples to friends who I think might be interested. Another thought is to set them out for your guests to try (I put some beauty samples in the medicine cabinet in my guest bathroom for my guests to test out). 1.) Ghirardelli Chocolate with Carmel – Nice move Birchbox, it is awesome getting a little chocolate surprise in my monthly box. 2.) Jouer Matte Moisture Tint – I have received one of these samples before and I really liked it. The tinted moisturizer gives my skin tone an even color and leaves my skin feeling super smooth. 3.) WEI Pomegranate Buffing Beads – Such a neat product! You just add these buffing beads to your cleanser and instantly turn it into a scrub. This is a great way to slough off all of those dead skin cells. 4.) TIGI Catwalk Session Series Transforming Dry Shampoo – It is no secret I’m all about some dry shampoo, so I’m excited to receive such a decent size sample to test out and see how the TIGI brand compares to my normal brand. 5.) WEI Golden Root Purifying Mud Mask – Masks are terrific and I haven’t used one in awhile; what a great way to get rid of the dirt and oil that is deep in your pores. Your face will feel so clean after a mask treatment. 6.) Juicy Couture scent, Couture LaLa – I’ve gotta be honest, I’m not crazy about the scent. It kind of smells like baby powder, so I might not be using this scent often. There you go, beauty in a box. If you are interested in signing up with Birchbox after reading all of this, click here to sign up for your own subscription. And if you have any questions about a Birchbox subscription, just leave a comment below. Linking this post up for #YOLOMondays with Lipgloss and Crayons and still being Molly. Stopping by from the linkup - I still haven't gotten my birchbox yet for this month but I know I've gotten a few of the products you show here before. I hope I won't be getting repeats! That would be really weird...But I would love to try that dry shampoo! Great stuff! Do a review on the TIGI Dry Shampoo! I'm curious! New follower. Great box love! Happy Wednesday! Saw you on the linkup! Great box! Everyone seems to have gotten the dry shampoo but me! Ugh, I'm so jealous of this box! haha! those WEI products look like so much fun to try! Super jealous that you got dry shampoo in your box..I looove that stuff! seriously jealous you got dry shampoo! 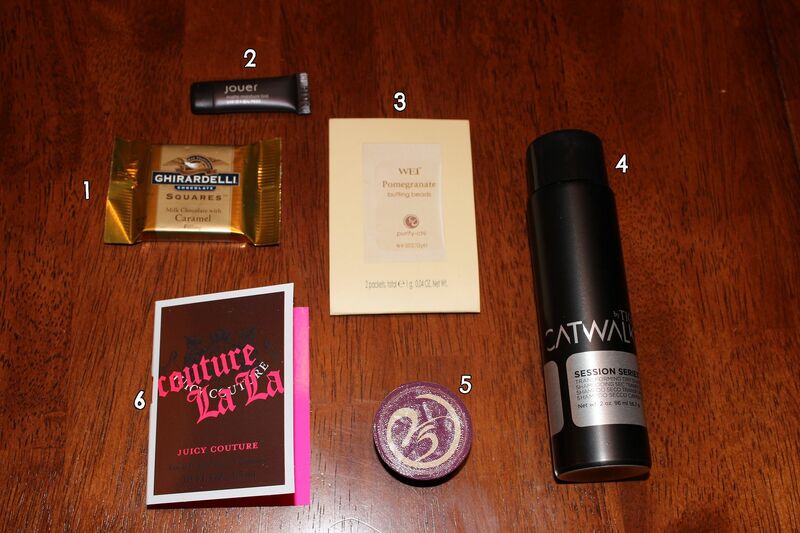 thanks so much for linking up for birchbox brag!